Lobby Renovation-The Second Chance to Make a First Impression. A lobby provides the first impression of the building and is the most shared space in the every-day life of the residents. When renovating your lobby, special attention should be given to the design/selection of the materials, colors, furniture, lighting, and energy efficient solutions, as well satisfying Building Code and functionality requirements. The first step towards the renovation of a lobby is to have a pre-design meeting to determine the resident’s requirements and wish list. A professional should be hired to verify the existing conditions of the lobby and affected areas. Also, as a pre-design effort, local jurisdiction code requirements and a full Building Code analysis should be performed to ensure that the new design meets code requirements. All new or renovated public spaces in residential buildings are required to comply with the Americans with Disabilities Act (ADA) for items such as (but not limited to) doors and hardware, railings, ramps, the height of reception desk, etc. There are several design aesthetics to consider for the planning of your lobby. We recommend a light color palette for the walls; as dark colors can give a heavy feeling to the residents. Having low maintenance and slip resistant floor finish is essential; porcelain tiles are ideal, as they do not crack easily and are easy to clean. Walk-off mats also known as entrance mats, are effective in wiping bacteria, dirt, and moisture from shoes. If selected as an after-thought, this element becomes an eyesore. Therefore walk-off mats should be incorporated in the design phase and integrated into the floor finishes. Spacious and double height lobby spaces are desirable, but they can be noisy. This makes the selection of finishes very important. Hard-surfaced materials can reflect too much noise or create reverberation. We recommend installing a second layer of materials that will absorb sound, such as floor area rugs or wall rugs. A growing trend is ready to install decorative wall and ceiling panels, which are a great way to finish a lobby space. However, be sure to check the product information sheet for the fire-rating as well as the installation guide. Incorporating energy efficient design decisions in the selection of lighting and mechanical equipment are also needed for the lobby. We recommend incorporating daylight as a great way to freshen and improve the quality of lobby space, which can also reduce your utility bill for the building. If you desire to enlarge the size of existing windows or an opening to bring more natural light into the space, make sure to incorporate insulated glass, summer and winter sun angles, as well as sun shading devices. A design for a lobby must optimize thermal comfort, fresh air circulation, and moisture control during cold, dry winters and hot, humid summers. An engineer should be hired to design and specify cost-effective mechanical systems. A popular design strategy to reduce construction costs is to utilize the ceiling plenum space for return air, which eliminates the need for return ducts. A well-designed reception desk and furniture are crucial to the success of your lobby. The reception desk should be placed to view and direct the flow of people-traffic, greet visitors, and provide security for the building. The construction should incorporate security wiring, storage, and ADA accessibility requirements such as the counter height. A growing trend for lobby furniture is a modern-minimalist approach that feels warm and inviting, much like an elegant lounge setting. Special attention must be given to the design of the lighting so that it creates the proper mood in the waiting area, as well as highlights the circulation path and art displays. Artwork for the lobby should be a compliment to the interior finishes that blend with the environment. Important accessories such as umbrella stands, signage, receptacles, and Wi-Fi should be incorporated in the design stage. A lobby renovation is a great way to upgrade your building entrance, but it requires careful planning and a multidiscipline design approach. 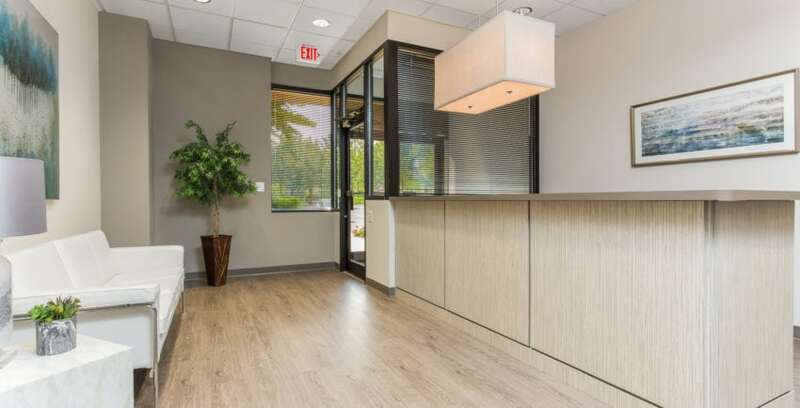 A long-lasting lobby design that is functional, economical, and aesthetically pleasing improves the building value, curb appeal, and the overall experience of visitors and residents. Shabbir has over 20 years of architecture & design experience; As ETC’s lead architect, he provides professional management and architectural services for a diverse range of projects. 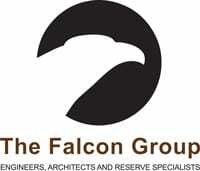 He takes great pride in providing a consistent and detail-oriented process from schematic design through construction administration.